Dr Sang M Lee of the University of Nebraska in the US. In today's globalised economy, organisations that want to remain competitive would do well to adopt policies of co-innovation across multiple boundaries, incorporating consumers, suppliers and partners with like-minded goals into the process. This was key to a workshop titled 'Global Strategy and Co-Innovation', delivered recently by Professor Sang M. Lee of the University of Nebraska to business executives in Johannesburg. The workshop was organised by the Faculty of Management at the University of Johannesburg. Prof. Lee will also chair the 30th annual Pan-Pacific Business Conference taking place from 4-6 June at the Sandton Convention Centre. The international meeting, again hosted by UJ's Faculty of Management, represents the first time this association has met outside the Pacific Rim. Delegates from 18 countries are attending the event, themed 'Forging the Legacies of Emerging Economies'. 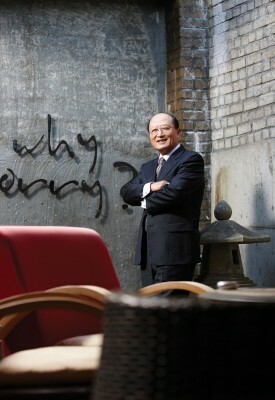 An observer of innovation at its many phases, Lee stated that innovation had become the currency of global competition. He defined the concept as "any new idea which was applied in a fundamentally different way to create value for the organisation and other stakeholders". He noted how certain countries, such as China and the Scandinavian bloc, had proved to be exceptional pacesetters by incorporating innovation into national development strategies. "Corporate plans have evolved," he said. "At first they centred around the question: ‘How to do things right; then 'how to do right things'. Nowadays they focus on 'how to do new things'. "Likewise, the corporate approach to innovation has shifted. The motivation was initially incremental, seeking a continuous improvement to existing business. We then moved toward radical innovation, where untried products and services were introduced. "The advent of disruptive innovation then emerged, where new products disturbed the market and changed the rules of competition," Prof. Lee said. At present, much innovation is centred on the experience economy, with the accent on re-engineering the customer experience to surpass functionality, encompass implicit value and be memorable. This was witnessed, for example, in the progress of tacit video games into the field of physical participation, such as Nintendo Wii. "A key ingredient of innovation is to build a compelling experience with network effect for value creation," said Lee. Information technology, he stated, had revolutionised the process of innovating, making it possible to measure, experiment, share knowledge and replicate. Having moved through closed, collaborative and open stages, pioneering organisations were now engaged in co-innovation, co-creating in partnership with customers, suppliers, universities and researchers. Shared goals were central to the process. An example of co-innovation was the Nike + iPod Sport Kit, combining Nike running shoes with an Apple iPod-connected sensor that allows runners to track an athlete's pace while working out to music. Successful innovation, said Lee, should not be based on past successes, which diminished in the face of fast-paced change. "It is often better to forget proven business models," he cautioned. Innovation was sometimes born out of failure, such as the highly successful Post-it note, which resulted from an attempt to make glue. Innovating involved exploration of new areas as opposed to exploitation of familiar ones. He warned, too, of the need to be aware of the ultimate commoditisation of innovation and the ever shortening life cycle of products, particularly notable in the field of smartphones and electronics, where new models appear within months. A keen observer of mega trends in our globalised world, Lee stated that emerging economies were no longer playing second fiddle as business gravitated to low-cost regions of the world. Emerging countries held 70% of foreign exchange reserves, 80% of the world's population were responsible for 40% of the world's exports, and 50% of gross domestic product at purchasing power parity. In contrast, traditional powerhouses such as Japan and Europe were overwhelmed with financial problems. Lee, who coined the term 'convergenomics' to describe the process of convergence in multiple business fields – including organisational, technological and industrial – explored the subject in a book of the same name, released in 2010.